Ah, to live in a world where men wore suits everyday and women wore matching sweater sets and pearls. Boring, but so SO romantic. 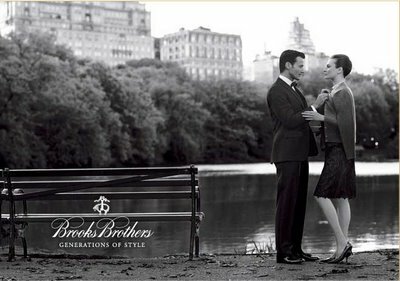 And where we all shop at Brooks Brothers. . .
Ha! Should I buy you some sweater sets for your birthday? ?